When Nettwerk Records approached me about doing a new website to tie in with Peter Murphy’s new album release and tour I said: “Sure. Only one thing. You let me finish this my way”. Actually no, I didn’t say that at all. But we did talk a lot about using tumblr as a novel platform to make a lean and effective web presence. And we also talked about a new food truck that serves the most unbelievable concoctions. 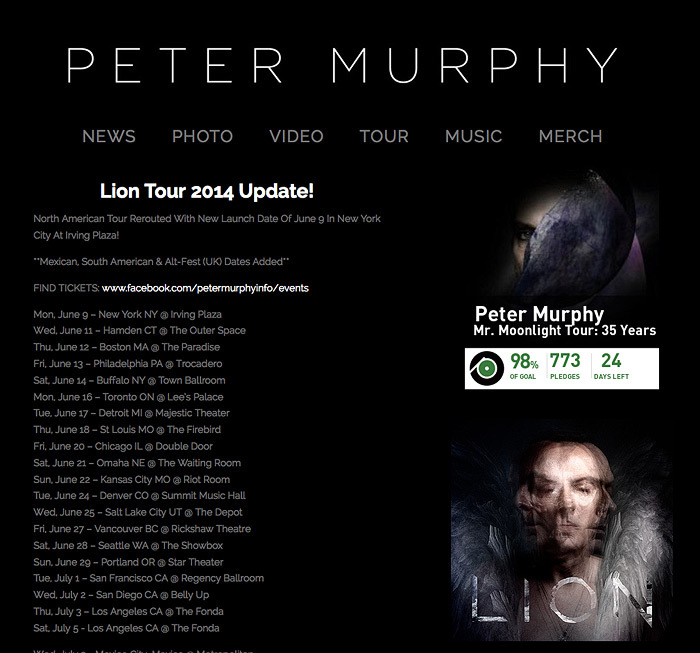 The new Peter Murphy website.